My job paid well, so soon as I got enough money, I moved out from home. Even though dad is a retired old soldier man, he was strong and crazy most times, he didn’t seem to need my help that much around the house, he’s fond of bugging me to get married, he wants to see his grandchildren before he dies, he always had tears in his eye whenever he talked about this, and how awful it was that mom couldn’t live to see grandchildren of her own. My little sister and I was all he had. Moving out got him really excited, he figured I’ve got a girl and I was ready to have a family of my own. But truth is, I moved out because I hate doing chores around the house. It’s been a month now since I moved out, my place isn’t closer to dad’s place, it was a new site, now developing, so there wasn’t many people around, all my friends were in town. The only time I got to see them was on the weekends or somewhere in town by coincidence. I close from work at 5pm, if there’s no traffic in town, I get home 45 minutes later, but if there’s traffic, it’ll take about an hour and half to get home. Ever since I moved out, going home has been extremely hard for me, ‘cause when I get home, there’s nothing for me to do, just eat, watch TV, go to sleep. It was a daily routine until I got an idea. 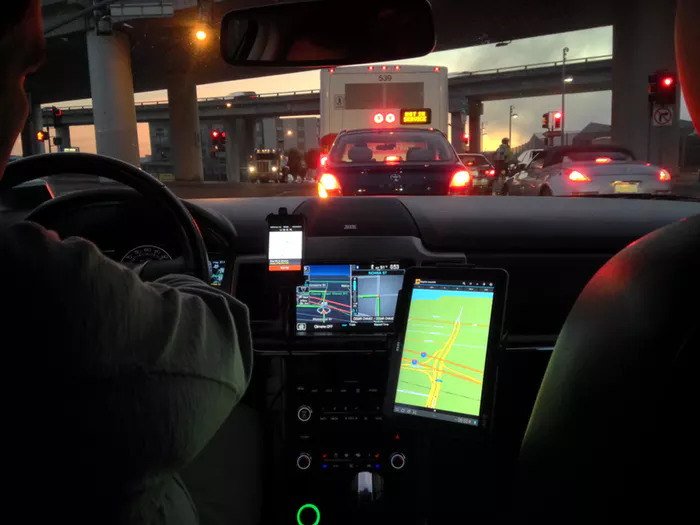 I decided to sign up as an Uber driver. It seemed to be the new thing in town now, my car is new and sleek, and I could drive people around and get paid. I’m not really doing it for the money, just didn’t wanna go home early and be bored. It was a productive use of my time. Everything was great, it’s nice driving people around, you meet very interesting people, some are cool, others are rude, but I guess that’s how it is. It was Friday, knocked off work around 5:20pm. TGIF, was the theme, some friends and I decided to meet and have some fun at the bar. We met at Ziggy’s lounge at Osu as usual. It was fun as always, lots and drinks and meat to chew. But I didn’t take any alcohol, I knew I’d be driving and I live very far, so that was the safest thing to do. It was soon 8:30pm, my guys decided to take the partying to another joint, they said Ziggy lounge was boring today, they wanted a place with lots of girls. They wanted me to come with them but I declined, I told them I had a long drive ahead of me. he looked sober and smelled like alcohol, so I really understood him, so I did what I was told, and I took him for a ride. From Osu, I drove to Accra Central, from there went ahead to Nkrumah interchange, drove straight along the Teseno road, took a left on the N1 heading to Dzorwulu. We’ve been driving around for an hour now, then something unexpected began. The old timer siting behind me started crying, at first it was just sobbing, it continue for a while, I kept watching my rare view mirror, the old timer looked like a baby looking for attention, I got sympathetic and asked, “eerhmm excuse me sir, what’s wrong?”, soon as those words came out he burst into uncontrollable tears. I felt very sorry. I kept asking him what was wrong with him, but he ignored me and continued crying, I even asked if he was in pain and needed help. I asked him if he wanted to go home. He didn’t mind me, I got annoyed and decided to ignore him too. About 10 minutes he realized I wasn’t paying any attention to him, he began to talk, he asked, “Do you who I am?”, fear struck me instantly, it was a creepy question he asked, my first thoughts were, is he a serial killer?, I took a deep breath and said, “No, I’m I suppose to know you? Are you famous?”, he responded, “never mind”. He continued, “I’m in deep trouble, and I could really use some advice”, I panicked a bit and asked, “I are you in trouble with the police?”, he laughed softly and said, “No far from that, I’m not a bad person, I just made some bad decisions and it’s hunting me”, I was a bit relived so I asked, “who are you anyways?”, he smiled and ignored my question, he continued, “I’ve been having an affair, and now the lady is pregnant, and I have no idea what to do”, I wanted to laughed out loud, but it seemed rude at that moment so I contained myself. I got curious and asked, “Are you on twitter? Give me your handle so I could follow you, you seem to a cool old man, how many followers you got?”, but he ignored me. He looked broken, so I let him be. Then he asked me, “what would you do if you were me?”, it was one of the toughest question anyone has asked me before, I said, “honestly I wouldn’t really know, it seems very complicated, but I would prioritize my family and tell them truth and face the shame”. But he said, “You don’t understand, you don’t know my wife as well as I do, she wouldn’t hesitate telling the whole world what I have done, she’s a strict Christian woman, that’s what I fear. I was hoping to get a second opinion on how to solve this, but it seems I’m only left with one option”. “eeii!! You don’t fear God ehh?”. He bow his head and began to cry again, it was worse than before. I managed to calm him down. He began begging me, asking me for my help. I was confused, I asked him in what way I could help him, he said, “tell me how to mix a concoction or potion or anything for the abortion, I’m begging you please”, I said, “Are you insane? You want me to help you kill a baby? Who do you think I am? Mr. Old man, tell me where you live right now, I’m taking you home, you pay me and I leave, you’d have to deal with your own problems alone” I was pissed off. Then he said, “I’ll give you $2,000 if you help me”. I nearly crushed into the car in front me when I heard dollars. But I told him no, I told him I haven’t done it before so I can’t help him. Then he said, “I’ll give you $10,000 if you help me”. I pulled over at the next bus stop and got out. My A.C was working but I felt like I needed fresh air, I felt goose bumps all over me. I began to think to myself, $10,000 is a lotta of cash, there’s so much I could do with that money, he looks desperate so maybe I could bargain for more money. I smiled evilly to myself and went back inside the car. “I’ll take $20,000, that’s my final offer take it or leave it”, I greedily said. He said, “No problem, it’s a deal! If you help me I’ll get you the money by tomorrow”. I replied, “How will I know if you’ll send me my money, I don’t trust you”, he answered, “I’ll take you to my house, I’ll take you to where I live, that way you can trust me”. I took my phone out and called a friend, I asked him for the drugs he used for his girlfriend’s abortion 6 months ago, he gave me a list of drugs to buy at a pharmacy and mix them together. 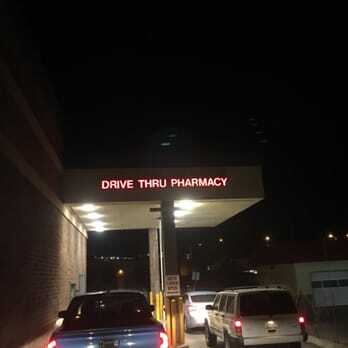 I drove to the drive thru pharmacy and got the drugs. I bought a bottled water, emptied half the content, got the drugs in there and mixed everything together. The old timer said he wants it done tonight, so he asked me to drive to Madina, there’s a hostel there, that’s where she is, he wants it over and done with. It took me half an hour to get to Madina. He asked me to get to Rawling’s circle, there a hostel around that place, that’s where we going. I grew up in Madina, so per the directions he was giving me, I kinda got an idea the hostel he was taking me to. I knew someone in that hostel. We pulled over to the hostel. 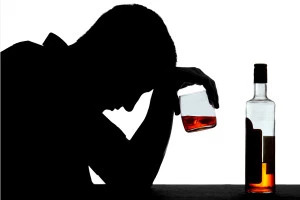 He asked me to stay in the car, he’s going to get the girl, then I’ll drive them to a nearby bar, there, he’ll get her to drink the abortion concoction. Half an hour later I see him walking to the my car with this girl, I hid my face, I didn’t want anyone to see my face, in case things didn’t go as planned and there’s complications like unconsciousness, seizures, vomiting or even death. I had to hide my face, I aint trying to be nobody’s accomplice dawg so I bow my head down when they got in my car. Even though I was trying so hard to hide my face, I just couldn’t fight the curiosity of taking a glance of the girl the old timer was with, so I looked in the rear view mirror and shouted, “Esi!! 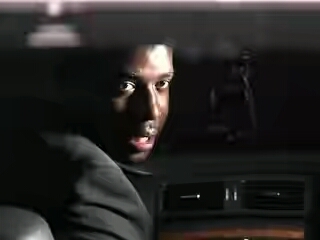 !, WTF is going on here?”, I got out of the car, and pulled the girl out from the car. The old timer was confused. He said, “what is going on here?”, and I answered angrily, “Stupid man, that’s my sister!”. My sister was in tears, she was speechless, she had her hand on her tummy trying to conceal the pregnancy. The old timer was dumbfounded. I just couldn’t believe what was going on. I thought my sister was growing fat all these while, not knowing she’s been pregnant some time now WTF! The old timer said, “wait…hold on…what do you mean she’s your sister?”, I replied, “Are you deaf? Did I stutter? I said she’s my little sister, the one I thought was growing fat, but now it turns out she’s pregnant. Painful part is, a stupid old man like you was responsible for it dammmn!”, I had tears in my eyes. I was sweating, my heart was beating very fast, my brain just couldn’t process all that was happening. Just on impulse I just grabbed a s huge stone nearby, ready to hit that madafaka in the head, when a familiar voice suddenly shouted, “CLE DON’T PLEASEEEEEEEEE!, it was my sister, she was on her knees begging me not to. I turned and looked at the lady approaching the old timer with smiles. I stopped her half way and asked her, “Do you this man?”, she answered proudly, “Yes he’s my pastor”. My brains felt like exploding outta my skull. This man is a pastor? The famous Counselor Lootrott? The guy who sits on TV and radio preaching? WTF man!! It all makes sense now, when he meant his ‘followers would be devastated’, he meant his church members. No wonder he asked me if I knew him when he got into my car, unfortunately for me, I’m not a church goer so I didn’t recognize him. Dammn!!! I went back inside my car, brought out the concoction I made for the abortion and showed it to everybody, and said, “I got news for y’all! This man y’all hold in high esteem is actually the younger brother of Satan himself, this man got my sister pregnant after countless affairs, cheating and lying to his wife and kids, now my sister is pregnant, and he wants to get rid of the unborn baby, he offered me $20,000 to mix this concoction for him to get rid of the pregnancy, unfortunately I was greedy enough to accept and God decided to punish me, turns out it’s my sister, my own sister he wanted to give the concoction to, dammmn I can’t believe I was this stupid, funny thing is, if it wasn’t my sister I would probably follow through with it, I hope God forgives me…”, I began to cry. lovely piece cle,bt ur old man rushed tins,..secof the abortion sef didnt go tru. fast! What web host are you the usage of? Can I get your affiliate hyperlink to your host? Finally a part of talesfrommadina.com.